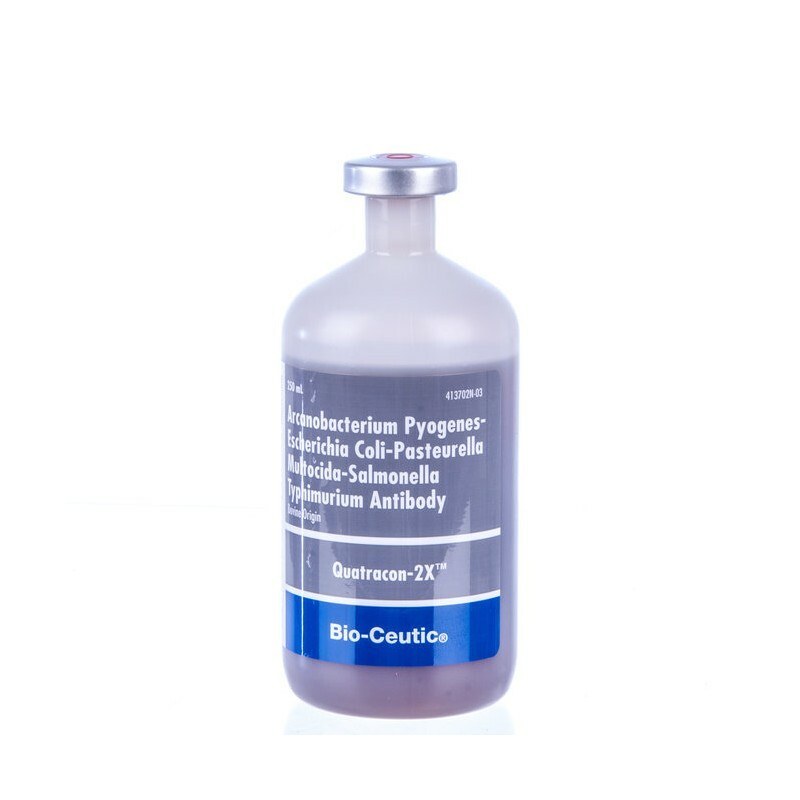 BI - For the prevention or treatment of cattle scours and pneumonia in cattle. 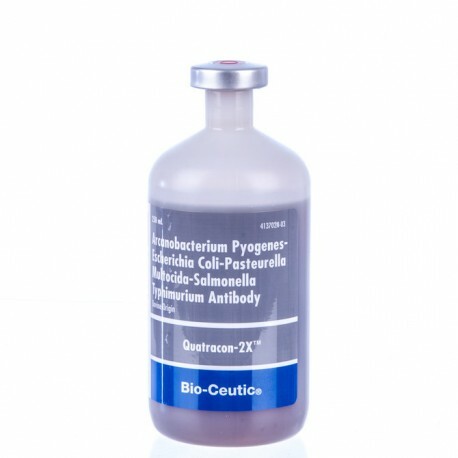 An antiserum containing antibodies for Corynebacterium pyogenes, Pasteurella multocida, Escherichia coli, and Salmonella typhimurium; in addition contains virus fluids for IBR, BVD, and PI3. Dosage: SQ 15 ml per 50 lbs. after birth and therapy. 30ml per 50 lbs. otherwise. 21 day withdrawal.